For the past semester, I’ve spent every Tuesday morning teaching English to a class of fourth graders at a local elementary school. Anyone who knows me, knows just how comical this is. This being because 1. I don’t like kids and 2. Kids don’t really like me and 3. I don’t wake up before noon. When I showed up on my first day, surprisingly on time but completely unprepared, I was greeted by a classroom of rowdy 11 year olds with the biggest smiles I’ve ever seen. They stared at me like I was a movie star and were in awe the first time I spoke (way too fast might I add). 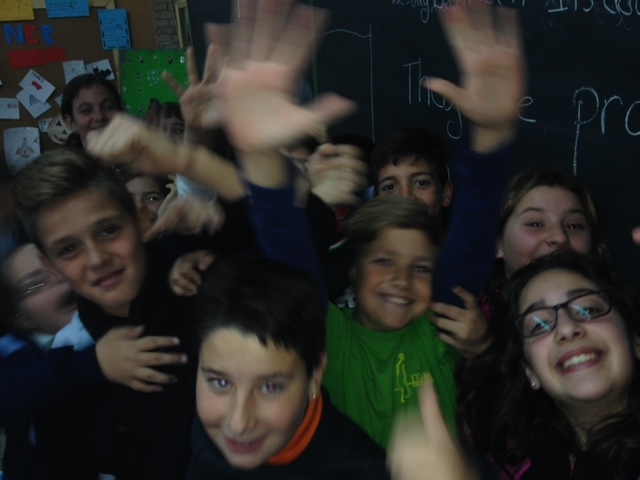 The first day, their teacher told them they could ask me anything they wanted as long as it was in English. Oh, crap. Kids are brutal. The questions started out easy enough. In cute little accents they asked, “Where are you from?” “Why are you in Spain?” “Do you like fútbol?” When we all grew more comfortable with each other the kids got down to business. “Do you have a boyfriend?” “Do you like the Sevilla team or the Betis team” (Sevilla’s BIGGEST sports rivalry) “Do you like Justin Beiber?” and my personal favorite, “Are there a lot of blondes in America?” I left that class feeling more awake than ever and I hadn’t even had my cafe con leche yet. The next classes I came armed with Powerpoints, games, and prizes. I may not have learned everyone’s names, but I quickly deciphered their different personalities. It’s hilarious how you can tell who is the class clown, the nerd, the girly girl, the teacher’s pet, etc. They were so young, but already so distinct and unique. One of my favorite student’s name was Lucia and she has down syndrome. She was the very first one I noticed in the class, not because of how awesomely she rocked that extra chromosome, but because she immediately came running up to me and gave me a huge hug and dos besos. She then recited in one breath, “Hi. Miss Jaclyn. I am Lucia. I am good. Thank you!” The teacher told me she had been practicing that with her for days. Each class after that, Lucia continued to greet me with a big hug and kiss and simply referred to me as “Guapa.” I’m really going to miss her. She had a heart of gold and I began to really look forward to my Tuesday morning hugs with Lucia. 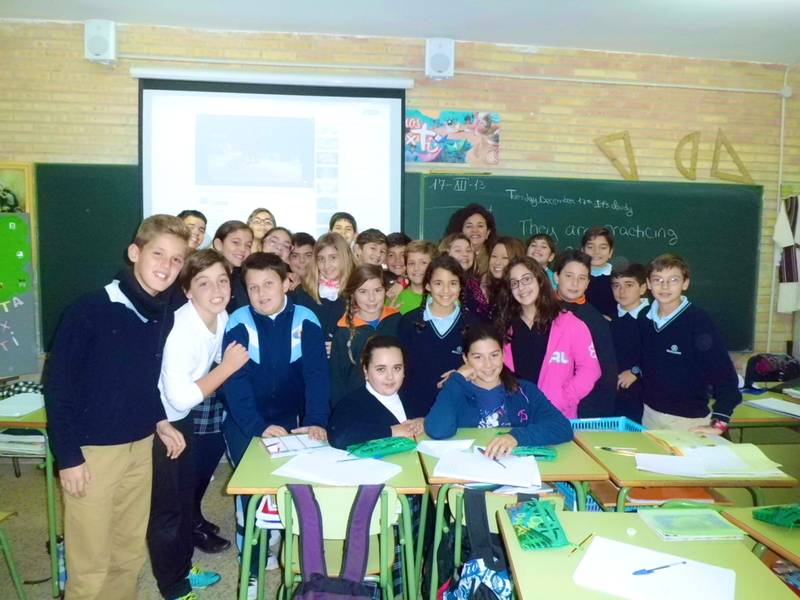 This entry was tagged Christmas, College, elementary school, kids, last days, learning, Sevilla, Seville, Spain, Study Abroad, studying abroad, teaching, teaching english, volunteering. Bookmark the permalink.